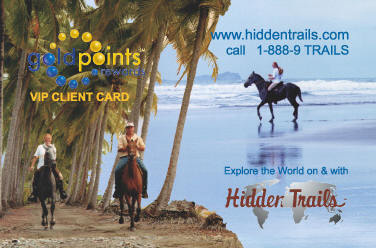 All of our clients receive 10 Travel Points for every dollar you spend with us. This is equivalent to a discount of 1% to 2% for you on each trip. These travel points can be redeemed as soon as you have collected a minimum of 75.000 points and as long as you have traveled with us twice in the last 3 years. Short getaways of less than 5 days and trips with discounted rates are not eligible.